Would you like to join our staff? Do you have a great attitude and desire to have a positive influence in the lives of young people? We are looking for you! Applicants must be HIGH ENERGY, FUN, and ENTHUSIASTIC TEAM PLAYERS. Gymnastics experience is desirable and any experience working with children or coaching young athletes is a plus, but we will train the right individual. Please see the description of the below positions. **All staff will undergo a background check. Staff teaching gymnastics and tumbling will also need to be safety certified and SafeSport certified by USA Gymnastics. All staff teaching athletic classes (dance, tumbling, gymnastics, ninja) also needs to complete concussion awareness protocolls. All staff will need to LOVE children!!! 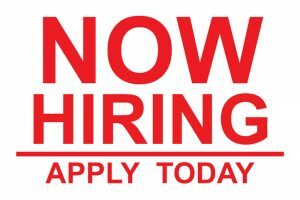 Afterschool Lead Staff – needs to be over the age of 26 and must have a valid driver license and clean driving record. Will supervise children during afterschool care (2:30-6:00pm), assist with homework, lead games in gym and afterschool room. 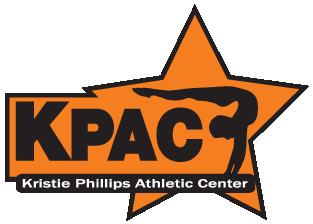 Recreational Gymnastics, Tumbling and Dance staff – musts be over age 18. Previous experience is a plus. Will follow lesson plans provided to teach beginner and intermediate level skills. Preschool Gymnastics Staff – must be over age 21. Previous experience working with preschoolers is a plus. Will follow lesson plans provided to teach preschool gymnastics to ages 18 months to age 5. Must be aware of developmental milestones, strong parent communication needed. Office Staff – excellent customer care skills needed, basic computer and email knowledge required, over age 21. Will be answering questions from customers, general office duties. Previous experience handing payments necessary. Needs to be organized and outgoing. Afternoon and evening hours (3-8pm). Summer Camp Staff – must be over age 16. Daytime and afternoon hours (7:30am – 5:30pm). Will go on field trips. CDL a big plus. Birthday Party Staff – must be over 16 to assist, over 18 to lead. Saturday afternoon availability is a must. Needs to love providing fun for children of all ages.